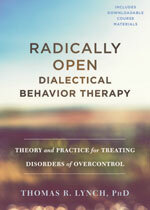 Describe new RO DBT treatment strategies designed to enhance willingness for self-inquiry and flexible responding. The following is an indicative schedule for one-day training events. The exact running order may be subject to amendment and change, but this timetable gives a good feel for the material covered during the day.